Eat your way around New Orleans' culinary hotspots on a 4-hour food tour, led by a food-loving local guide! 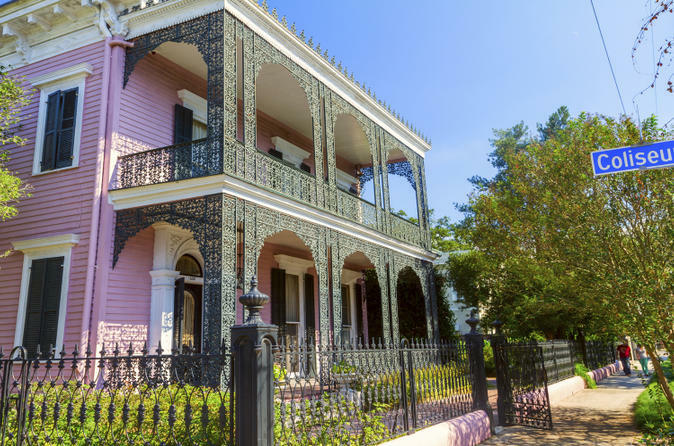 Showcasing the much-loved eateries around St Charles Avenue and the Garden District, the tour includes at least four food stops plus trivia aplenty about the city’s gastronomic heritage. Sample belt-busting staples such as a pork belly slider as well as seductively sweet candy and more; it’s the perfect way to discover New Orleans institutions plus places that only locals seem to know. Numbers are limited to 14 on this small-group food tour, ensuring personalized attention from a guide. After meeting your guide in New Orleans’ French Quarter, set off on your stroll around the city to learn about its culinary history while scouting out its top eateries. Founded by the French, the city holds the country’s influence close to its heart, and French classics—albeit with a New Orleans twist—feature on its restaurant menus alongside the distinctive Creole and Cajun dishes of Louisiana. One of the city’s burgeoning food hotspots is the area around St Charles Avenue and the upmarket Garden District. Head there on foot and start sampling dishes aplenty in the eateries that many city visitors miss. Dishes and venues may change on occasion, but your route always includes at least four food stops that collectively provide enough food for a meal. Visit the Avenue Pub, a real locals’ favorite, to try the chef’s surprise and a craft beer, and then continue to Pralines by Jean for a selection of traditional New Orleans candy and pralines. Peruse the wares at Fleurty Girl, a sell-everything-store where goods are made by local New Orleanians, and sample Irish-inspired fare at the lively Irish House pub.